Your message to Every Door on the routes that you choose! Always On Time, Always Right. All Ways Graphics! Full service printing and copying, mailing services, graphic design, document scanning and archiving, and promotional products are among the many ways that All Ways Graphics helps you communicate by design. All Ways Graphics is a full service communication graphics business. We work hard to exceed our clients' expectations by providing the highest quality product in a cost efficient and timely manner. We are built for speed and complete orders faster than our competition can, or chooses to equal. 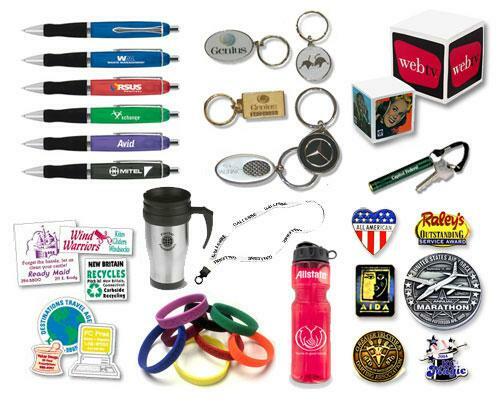 Promotional products: Claim space for your brand in every recipient's office or home with branded gifts and giveaway items. A simple mug or hat can make a big, lasting impression. Simplify your ordering process: Sign up for a Credit Account. You may be a long time customer or you found us by searching for All Ways Graphics, Always Graphics, AllWays Graphics, or even Alwaysgraphics. Rest assured you found the right company. All Ways Graphics is a copying, printing, bulk mail and website services provider that truly does graphics all ways to help you communicate your message to customers, prospects and employees. We even do signs, banners and posters! We also provide legal support services and full service graphics design, copying, printing, mailing and website services to further help you communicate by design. You may work with us online, call us at 910-392-0883 or visit our Wilmington location at 120 Racine Drive, next to Kohl's department store, in front of Home Depot. OPEN 7am to 7pm Monday-Friday, except major holidays.